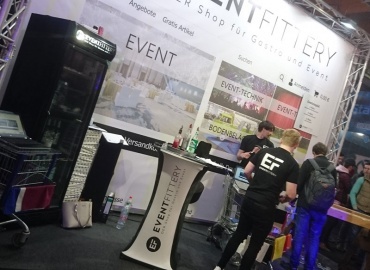 For 28 years, the market-leading specialist magazine for professional event technology in German-speaking countries, "Production Partner", has been accompanying the event industry. In terms of content, the magazine, with its associated online portal, reports on topics and technology that are used primarily in live productions (including theater technology and corporate productions): sound reinforcement, lighting, event technology, stage technology and projection. 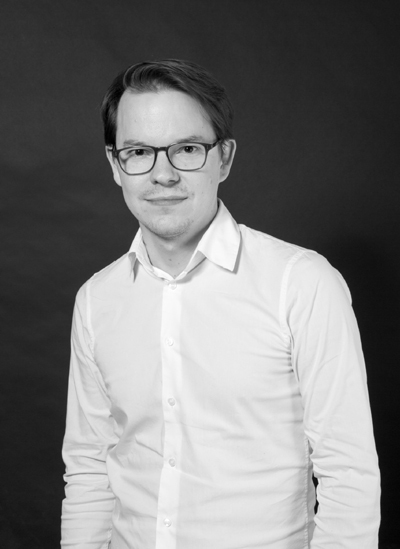 Marcel Courth, editor-in-chief "Production Partner", talks in an interview about the industry and the exhibition appearance of the magazine at Prolight + Sound. Marcel Courth, Editor-in-Chief at "Production Partner"
1. "Production Partner" aims to be the most reliable source of information in event technology. In your opinion, what are the essential components of today's editorial work in the field of specialist media? First of all, we can agree that reliability is surely one of the characteristics most valued by our readers and customers. Our team has been following the industry for over 28 years and has also been helping shape it as well. Since the beginning, being editors has always meant more than just research and writing. Personal connections can’t be underestimated, above all in the field of a compact industry – not to mention that the greatest amount of enthusiasm for the topic. For us it’s important to truly transport our high-quality content to our target audience. That’s why we are visible and tangible on all channels that are important in our field. It can be stated that some branches within the industry are in a phase of maturity or saturation. This doesn’t mean that there is no more potential but the market shares are largely distributed. It is noticeable more difficult, but not impossible for startups to gain a foothold, as several companies have impressively demonstrated in the last few years. However, the market is continually kept in motion by new technical developments. At the same time, we have established a leading international standard regarding training and specialized expertise, producing highly professionalized personnel. Some also perceive a problem that one’s devotion – which one unquestionably has to have with the profession of event technology – simultaneously decreases. Then a question of market potential will also depend on how the concert and event landscape develops. 3. 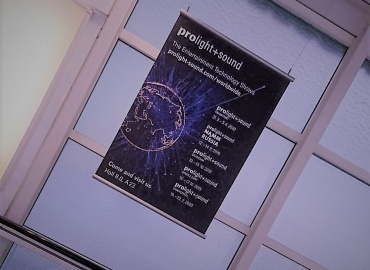 What significance does Prolight + Sound have as a trade fair for event technology? Prolight + Sound is a very important forum for event technology and a meeting place for the industry. At the same time, manufacturers are presenting their latest developments, so they are also living up to their role as an innovation platform. 4. With regard to the Prolight + Sound 2018: Can you give visitors a little taste of what to expect? Naturally, "Production Partner" will be represented in Frankfurt. In particular, we have our focus on our Facebook Live Studio in Hall 4.0, where we will be broadcasting live on our Production Partner Facebook channel. In addition, there will be seven guided tours in total – on Tuesday, Wednesday, and Thursday – leading participants to select exhibitors in the areas of lighting, video, and audio. Last but not least, we would like to mention our lounge in the Saal Europa (entrance in the foyer of Hall 4.0) which will once again be filled with a wonderful photo exhibition by the lighting designer and photographer Christian “Rocket Chris” Glatthor. We are looking forward to exciting interactions with the industry!